The end of summer vacation is quickly approaching and some schools are scrambling to place last minute orders for portable classroom trailers in preparation for the upcoming school year. If your school or church is in the same situation this post will help you make smart buying and/or renting decisions - even if you are in a crunch for space. How much does a portable classroom cost to rent or buy? The quick answer to this question is to get at least three or four price quotes from local suppliers around Orlando, Florida and be sure to compare apples to apples (well let's say oranges to oranges in Florida). 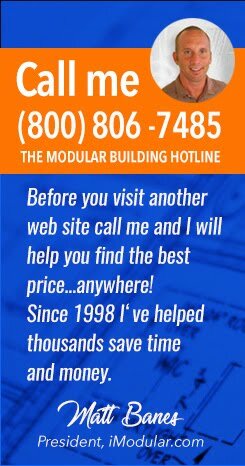 The best way to get these quotes quickly is to either click here and use my free modular classroom price quote form or call me directly at (800) 806-7485 (nationwide) and we'll talk about your needs and make recommendations. 1. Amount of modular space needed. 2. 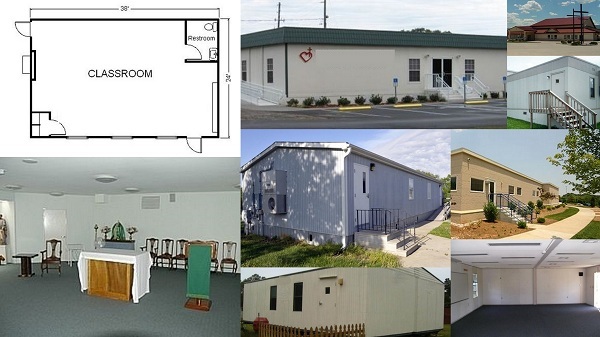 Type of modular building needed - classroom, daycare center, with or without bathrooms, etc. 3. Type of transaction - long term or short term rent, purchase, least to own. 4. New or used modular building. 5. Site conditions and requirements for installation - permanent, temporary, level site, easy access, difficult access, handicap ramp, steps, etc. Based on the above factors the price for the modular building you need can range from a few hundred dollars per month to several thousand per month to rent, or from a few thousand dollars to purchase a used modular to more than sixty or seventy thousand for a new modular classroom. The more space you need and the higher the quality will drive all of your expenses up - including delivery and installation. Like I mentioned before - give me a call and we can narrow the wide range of options down to exactly what you need and then we can work on finding you the best price possible.